India’s impressive economic growth has left behind 70 million people who are struggling to access stable and sustainable livelihoods in the rural areas. Despite interventions from the government and the social sector, most of the high impact solutions face a lack of relevant financial and non-financial support at their various stages of growth. 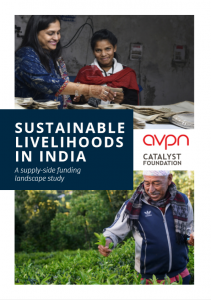 To gain a holistic picture of the funding landscape in India’s Sustainable Livelihoods sector, AVPN took a deep dive to understand the gaps, challenges, and opportunities. At the India Summit 2018, a convening in New Delhi that brought together more than 280 delegates to explore best practices and insights around social investment, AVPN launched a two-part report on the funding landscape in India’s sustainable livelihoods sector. The report provided dual lenses into the demand and supply sides of the funding landscape: the demand-side report identified the challenges faced by a diverse range of Social Purpose Organisations (SPOs) – non-governmental organization and social enterprises – in accessing support from social investors while the supply-side report examined the status quo within the funding landscape to highlight funding opportunities in the most challenging areas of sustainable livelihoods. Through a six-month long research study, we identified 5 key trends that have been shaping the funding landscape in India’s livelihoods sector. The strongest determinant of a private investor’s decisions is the socio-economic profile of the beneficiaries and the vulnerabilities posed by agro-climatic conditions. Funders also have preferences on the livelihoods forms, being largely inclined towards farm, rural non-farm and urban informal sectors. Investors mostly do not have strong opinions with respect to location, gender, social or occupational groups. Investors prefer to work with ‘investment-worthy credible organisations with proven models’. Investors are moving beyond grants towards impact investment, with more private investors and donor agencies deploying funds in a structured way. Foreign funding has declined in the overall philanthropic sector in India. The Government has boosted its presence by its involvement in the livelihood sector in a huge way. Various federal schemes have been launched to fund rural livelihood. The livelihood sector has seen a rise in entrepreneurship, with boost from government as well as private funders. There is limited or no interest to fund organisations advocating for human rights that empower voiceless communities in gaining access and control over resources. Very few investors channel their funds towards organisational building and human resources development, with the large share limited to programme funding which can show results. There is a strong focus in monitoring and evaluation systems to ensure programmes are delivered effectively. There is also overwhelming support for programmes with a sustainable business model. While there is a good understanding of the components of sustainability and what is required to achieve these, most investors limit their expectations to a few components reducing the potential for sustainability. Scaling is also a priority for all the funders and investors. When it comes to strategising impact outcomes, scale, or sustainability, investors show a clear agenda. They go beyond the program to think about sustained services, and government and commercial adoption of the business models. Almost all funders and partners collaborate with other funders, investors or implementers. The sector is constrained by inadequate training infrastructures, outdated curricula and limited standards, leading to a severe lack of skilled labour. Funding has become limited to programme implementation, and the limited resources for institutional development has severely curtailed the implementer effectiveness. Such gaps are particularly pronounced in rural areas, where SPOs provide crucial services in underserved areas. Government have recognized that successful entrepreneurs innovate, bring new products and concepts to the market, improve market efficiency, build wealth, create jobs, and enhance economic growth. Suggested priority: young and innovative technology firms; upcoming manufacturing businesses; rural innovator companies. SPOs need time to build sustainable businesses and generate returns on investment, implying that impact in livelihoods requires long-term engagement and patient funding. 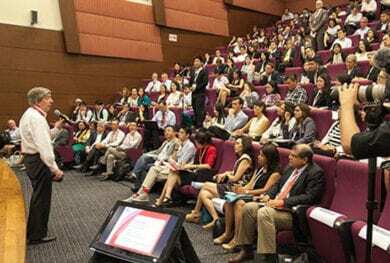 However, funds from corporate social responsibility are especially restrictive, and SPOs’ desire to establish market linkages finds little funding support. Funding ecosystem development is of utmost importance, to ensure the sustainability of impactful programs. The ecosystem development can only be realized through partnership, and collaboration between funders-investors. Due to the non-sustainability of grants, SPOs are increasingly moving towards market-based models of funding. They do this through programs based on entrepreneurship, skilling and employment generation in the rural areas. Entrepreneurship is a critical source of employment generation in rural areas. Donors prefer skilling, but the current approach to skill development is flawed. Donors are wary of risks, but the livelihoods sector needs space to innovate. 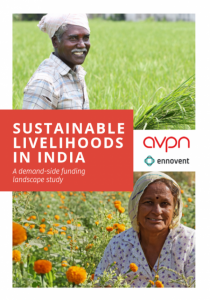 To understand more about the demand and supply side of the funding landscape of sustainable livelihoods in India, please download the two reports here. 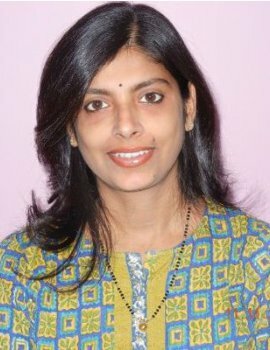 Kavita holds a MBA degree in Marketing and has worked as a Research Analyst with various Consulting firms and the Prestigious Indian Institute of Management. Her last stint was with J-Pal as a Project Manager with their policy team. She brings in vast experience in research, public policy, analysis, and documentation. In her role, Kavita would be responsible for curating knowledge of social investing practices by interacting with AVPN members and other ecosystem players. She would also work closely with the Singapore Knowledge Centre team.